Parts shipments for a 12.9-inch "iPad Pro" will likely begin in September, resulting in production of about 1 million units per month this year —but with new touchscreen technology and suppliers, according to a J.P. Morgan investor memo. 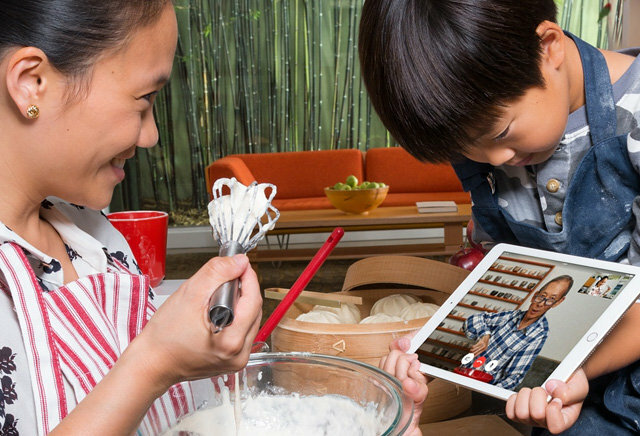 In order to improve input accuracy, the jumbo-sized iPad will likely use a "glass-film-film" (GFF) touch panel structure rather than the glass-film in the iPad Air and mini, J.P. Morgan's analysts said, citing supply chain visits. That could be consistent with claims that the tablet will support a Bluetooth stylus, for which accuracy would be paramount. Financially GFF would benefit Nitto Denko, which is already the lone film supplier for current iPad models. For the "iPad Pro" display and touch panels though Apple is allegedly handing most of the initial orders over to Sharp and GIS, respectively, instead of LG Display and TPK. The latter two companies may still be involved, but in a smaller capacity. Apple is also, for the first time, reportedly consigning display panels to touch panel makers for the touch/display optical lamination phase —putting touch, display, and assembly under "megasites" controlled by Hon Hai, better known as Foxconn. That would back a similar rumor from DigiTimes. The other main suppliers are thought to be Nissha Printing and Radiant, the latter of which will handle LED backlights. Apple is commonly expected to reveal an "iPad Pro" sometime in October, and ship it shortly thereafter. Aside from new touch technology, the tablet could have a 2,048-pixel-by-2,732-pixel display, and a unique version of iOS 9 with an expanded keyboard.